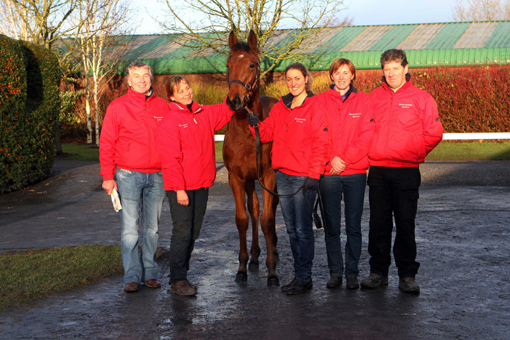 Two winners in two days - Swordlestown Little breds are doing us proud! All our recent runners have either won or been placed. At last our homebred horses have started to race and we are thrilled with their performances. The last three runners have all won or been placed. 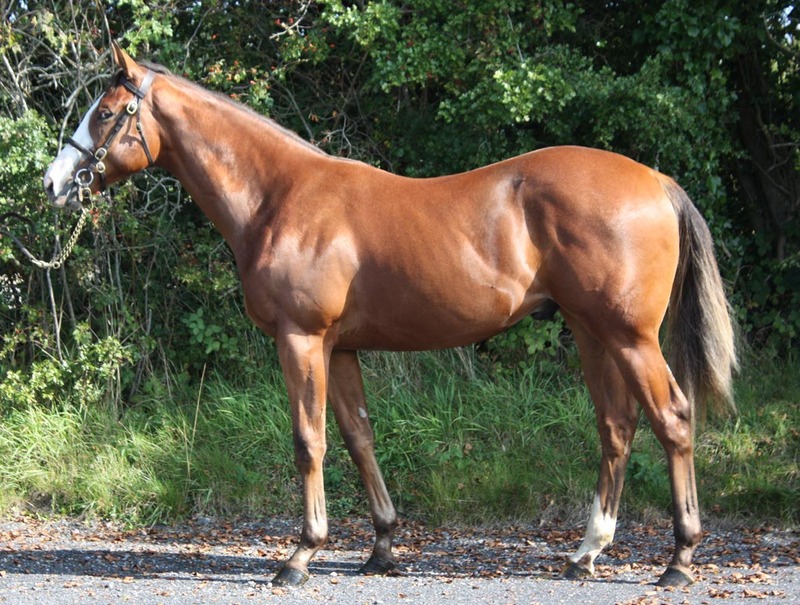 Forgotten Wish (seen as a foal at Goffs Sale below), a two year old filly trained by Richard Hannon, started the ball rolling by winning a maiden race in Goodwood at the end of August. This was a sweet win as we also bred her sire, Lilbourne Lad! 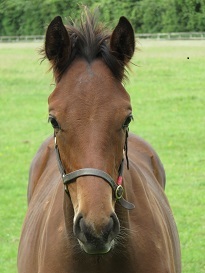 She is Khatela's 11th foal and her 8th winner, what a fantastic mare she has been for us. Khatela is now 20 years old. 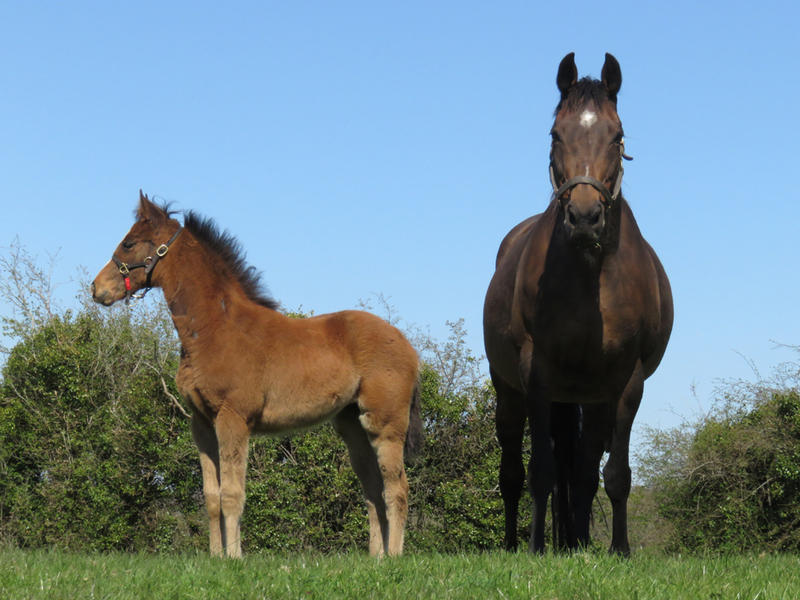 She has a filly foal by Lilbourne Lad this year and is in foal to the exciting young sire Born To Sea, a half brother to Champion Sire Galileo and Sea the Stars. Robertstown (left and middle) and Christchurch above right. 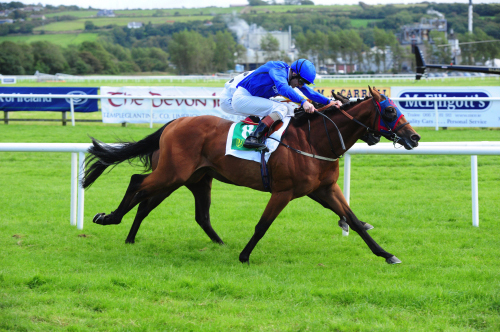 Robertstown (Raven's Pass - Sogno Verde) followed up with a courageous win in a maiden race in Listowel. This was only his third start so hopefully there will be more races to be won with him. This was our first runner and winner for Sheik Mohammed's Godolphin operation who bought him from us at Goffs Sale in 2012. Congratulations and thanks must go to trainer Jim Bolger for his patient handling of the colt. We had another fantastic success yesterday when Christchurch won a six furlong maiden in Newbury by 1.5 lengths. It was made all the more special as he was trained by my former classmate Brian Meehan at the famous Manton Stables founded by the late Robert Sangster. It was touching to see Christchurch run in the same famous racing colours as former greats like Sadler's Wells, The Minstrel and Golden Fleece to name but a few. 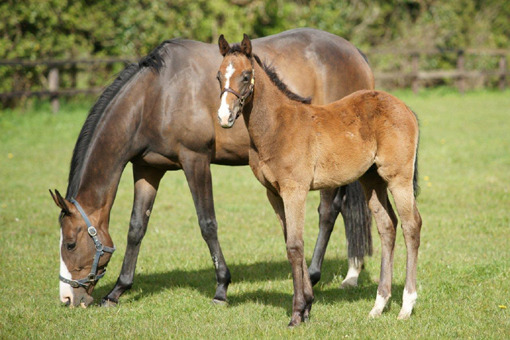 Christchurch was born in Kentucky and bred in partnership with our dear friend Cathie Parke of Valkyre Stud. We also need to mention our remaining other runners: Spring Loaded (3yo colt by Zebedee ex Nisriyna) who already won two races last year, was 2nd at Ascot on his latest start. Our other 2yo, Hollywood Ken, (gelding by Arcano ex Third Dimension) has been placed 2nd on his latest start. With a little luck he will win before the year is out and he is sure to make a very useful dual purpose horse as he gets older. 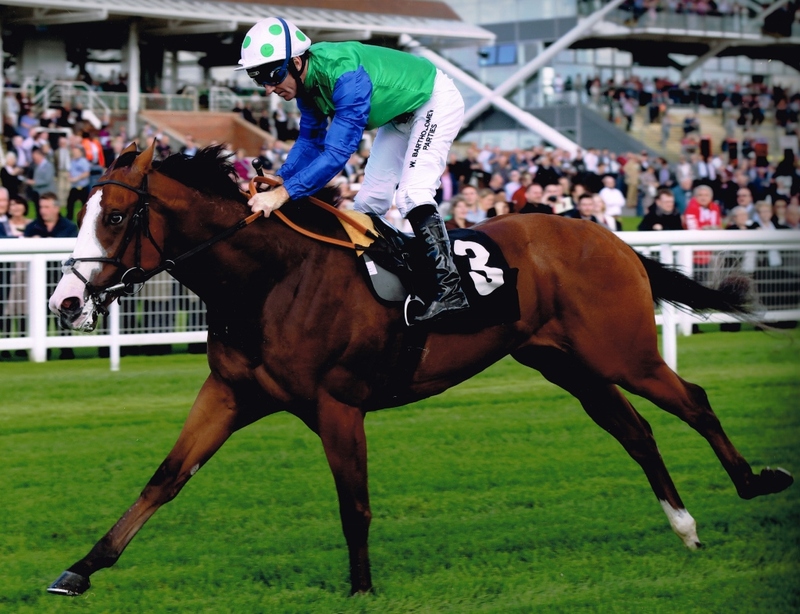 We anxiously await news of Notte Illuminata (Acclamation - Sogno Verde) who is in training with Charlie Appleby for Godolphin. 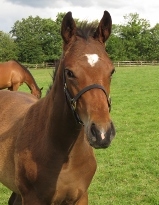 While it is lovely to see our previous crops doing so well on the racecourse, we now have to focus on our future stars. 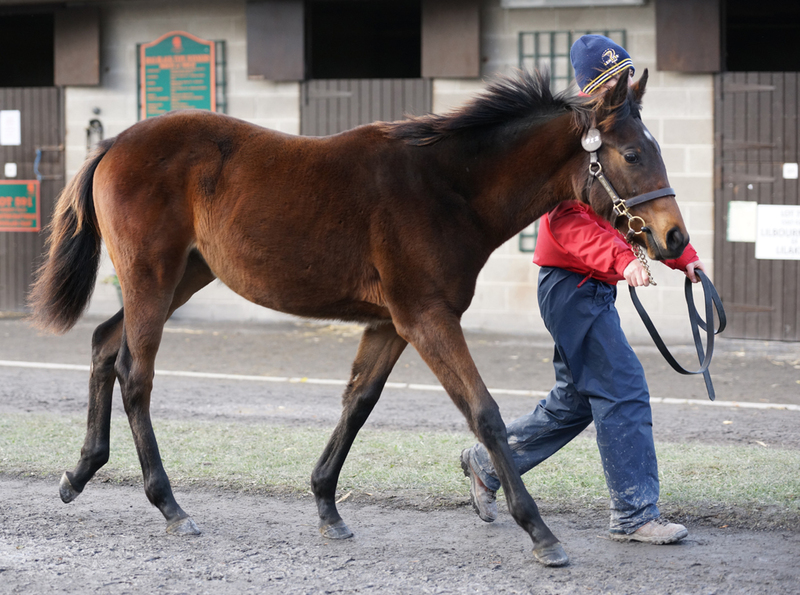 This is our most exciting foal crop ever, lead by the Galileo colt out of Sogno Verde. 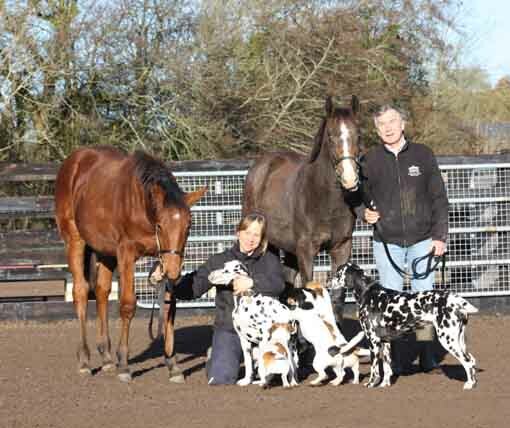 The foals have all coped well with weaning and will now start their walking excercise shortly. This will prepare them for the sales in November which are only eight weeks away. Also getting ready for their future are the two yearling fillies by Henrythenavigator and Helmet. They are now coming into the stables at night and we will start getting them used to lunging and wearing tack in due course. It won't be long until they are ready to be ridden and leave Swordlestown Little to go out into the big wide world. 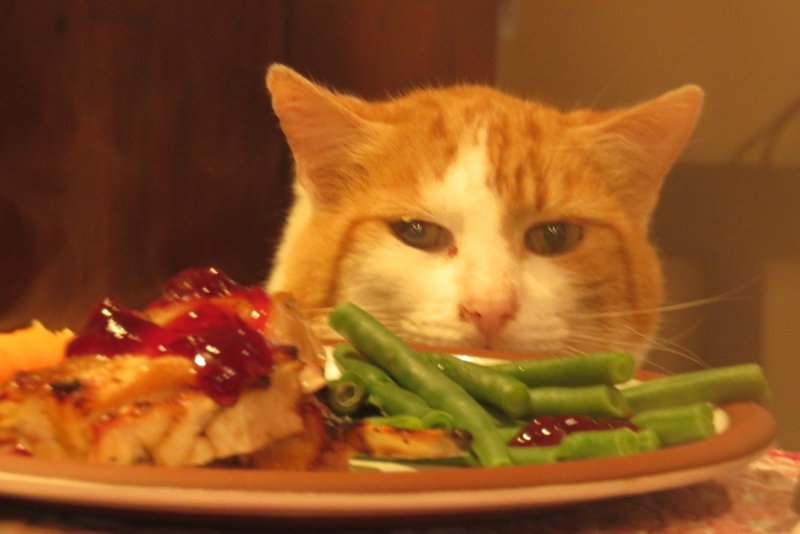 "The lamb looks good, but not sure about those green things!"